Guess who is playing at Musica en la Plaza at the end of the September month? Kimba Light! And I did ask if they would play some timba and they will! 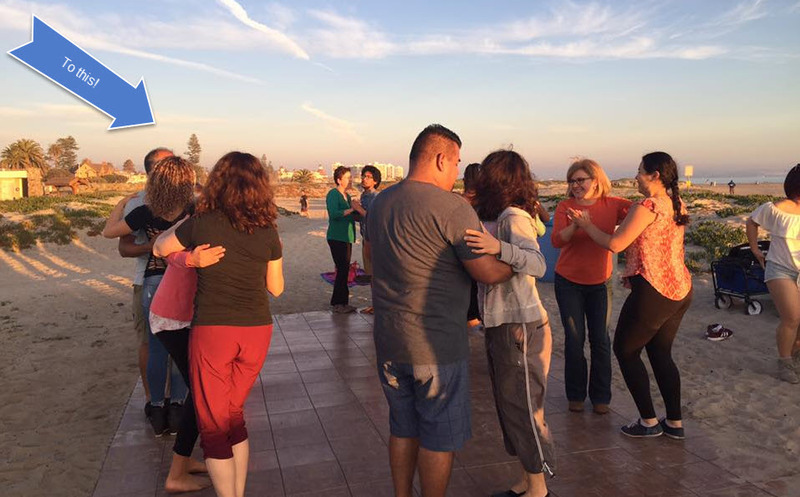 So get your dance shoes ready and your San Diego Rueda t-shirts for this free dance event. All ages welcome and it is FREE! 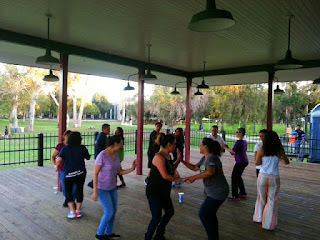 A Mega-Rueda will take place at the event, contact Maritza Baida (contact info on Dance Instructor page of this blog). 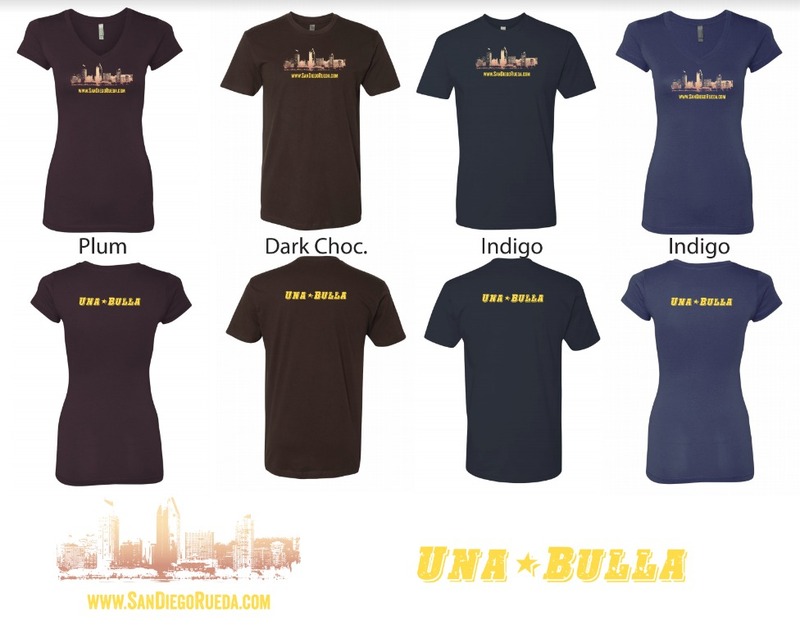 Ruedistas need to wear the new San Diego Rueda T-shirt. Click this link to learn more about the Mega Rueda. We are about to enter into the Fall season which means, time to make a decision (yes or no) on going to Cuba with me, Ryan & Sidney. I already paid for my flight to Ft Lauderdale from San Diego. Registration for the December trip is the thing you need to do if you are going. Here is the link to details of the December trip (two festival!!) You can choose whichever week you would like to do. Deadline to pay the $800 deposit is September 1st for any of the December weeks. You get the best deal if you pay the deposit now. Check the Rueda con Ritmo Cuba Trip December 2018 webpage for the prices of 1 week, for 2 weeks, or for 3 weeks depending on your accommodations (double room or single room). You decide which week and how many weeks. In 2016, I did all 3 weeks and it was the best trip I ever took out of the country. 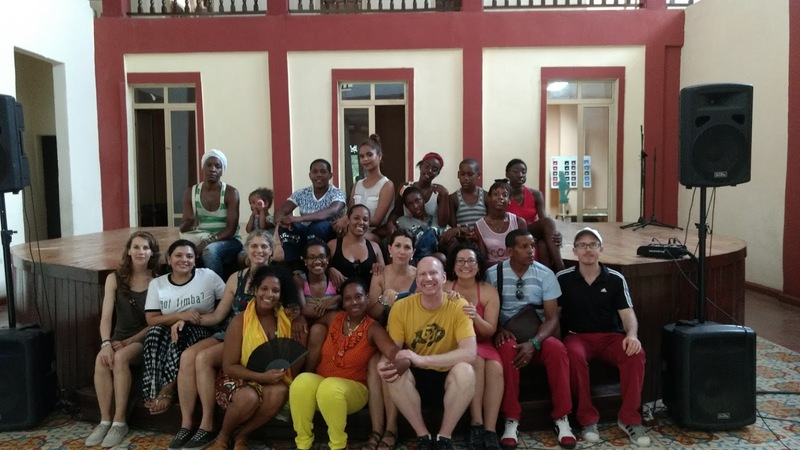 Cuba in December...the people, music and dance training...priceless. All you need to do is register. Here is the actual link to the registration form for the trip. Una bulla!! It's now becoming a tradition to make the biggest rueda (MegaRueda) at the Musica en la Plaza when there is a salsa band. Last year we had two concentric circles in the rueda. This year, I hope to make it bigger. I am also launching the new San Deigo Rueda T-shirt to promote the blog for all Cuban dance events, dance instruction, and Cuban music in San Diego and nearby. This t-shirt sale has been a project I have had ever since I moved out here. I finally got it off the ground and had the screenprinting company set it up. Now it's a matter of making the order and selling them to help promote the blog and to show unity in our dance community. The t-shirts will be showcased for the first time at the Sept 7th Musica en la Plaza Latin concert where casineros who participate in the Mega-Rueda will wear them for the first time. Look for the green building on this weblink as your visual aid guide to find me. WHEN: Saturday, August 25th. 9pm - 1 am. 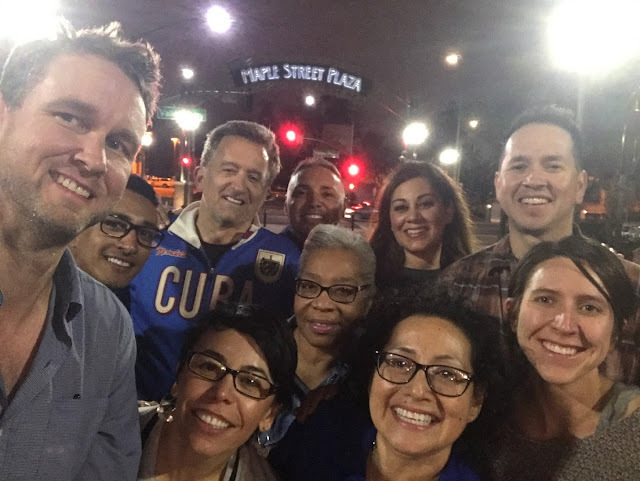 Thanks to community members who spoke up about having a Latin band play at the City of Carlsbad TGIF Concerts in the Park, our wish is going to come true. (FYI, they had not had a Latin band that played in 2 years). 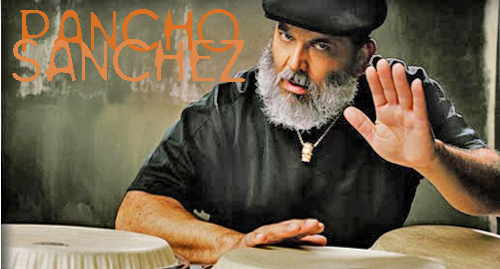 Poncho Sanchez is playing!!! 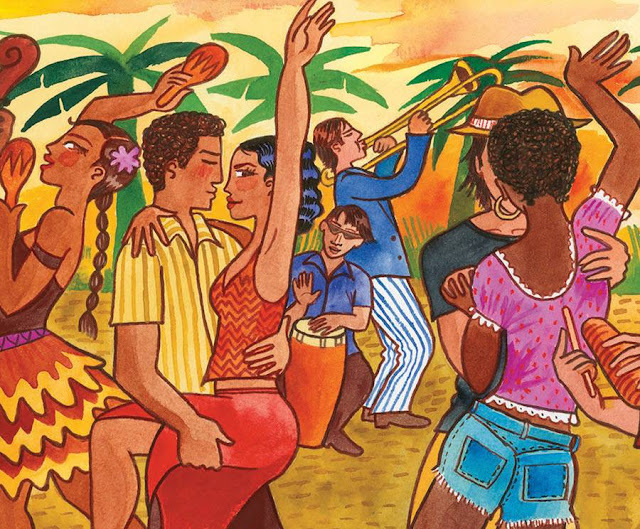 It had been a tradition that anytime there was a Latin band that played any kind of salsa music, casineros would meet up and dance rueda, do Cuban salsa suelta and dance with everyone. It was such a great time. So happy it's finally going to happen again this one time only this summer, so don't miss out! Get there early around 4pm to claim a spot on the grass. HOW TO PREPARE: Concert venues open at 4 p.m., performances from 6 - 8 p.m. and concert venues close at 9 p.m. All concerts are outdoors and free to attend. Rocio will be getting there early to claim a spot on the grass, so contact her where everyone will be. We usually find a spot on the grass nearest 1st base on the baseball field (if you were to face the stage, on the left side. 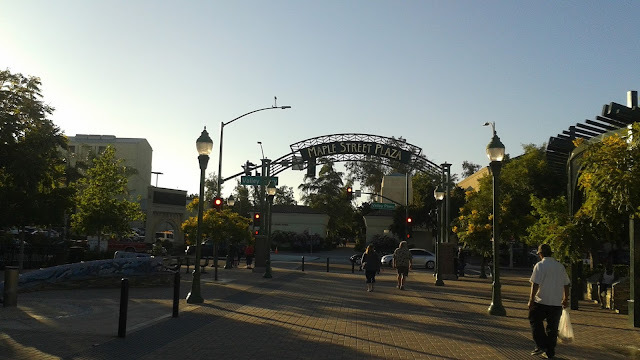 PARKING: There are hundreds of people at these free concerts, so get there early enough to allow time to find parking and or take the shuttle to the park. They have a shuttle service at these events. Click this link and scroll down to the Alga Norte Parking/Shuttle details. Going back to regular scheduled Friday Rueda practice locally, we are meeting up at Oceanside Pier to practice the moves I taught on Tuesday's last Level 1 Beginners class and to add some new add-on enchufla moves. Come for the fun of it. Anyone's invited. It won't be a formal class, just a practice to clean up some moves and to call some fun ruedas. Practice! Practice! Practice! We will have a great time dancing outside to cool off from the heat. 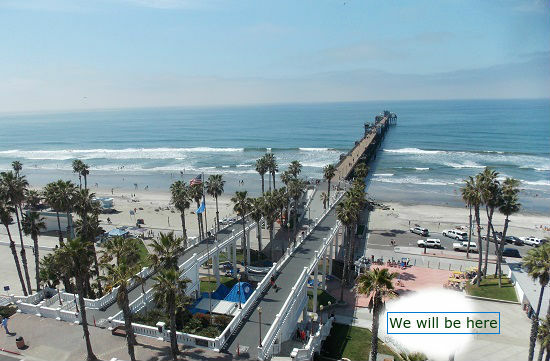 Check out this picture below to where we will be in reference to the Oceanside Pier.